When you look at the graphs below and pay attention to years between 2007 to 2009, two things stand out: Google has more than 70% search share and Facebook is in hyper growth stage adding users at frantic space. Its difficult to grasp how Google could miss Facebook’s growth, given almost all the traffic to top sites on internet started from Google homepage. Also, mobile hasn’t really taken off during that time period, and Facebook’s traffic is primarily from desktop. I thought that there had to be something philosophical at Google which should have refuted this data. 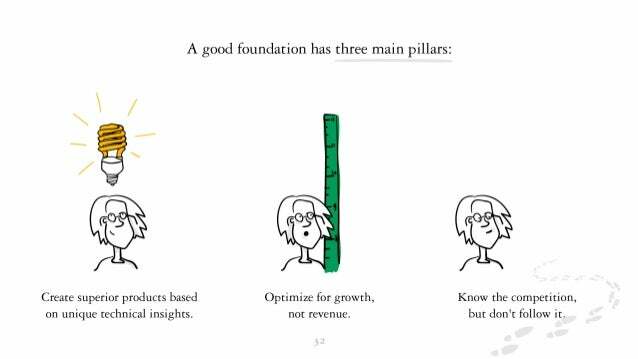 I recently finished Erich Schmidt’s “How Google Works” and he lays out three pillars for most of the successful products at Google. When you frame the above insights in the context of Facebook, it makes sense why Google chose to ignore Facebook inspite of the data. Social networks are fundamentally not based on any unique technical insight. That’s the reason a sophomore could develop the first version in his dorm as opposed to PhDs. All it needed technologically at that time was a simple PHP website with MySQL database. But it absolutely required an unique perspective on how to translate human relationships online. On the other hand, the Google’s foundation (PageRank) is an unique technical insight compared to other search engines at that point of time. Coincidentally, I also finished Biz Stone’s Things a Little Bird Told Me. Biz, who worked for a short while at Google before starting Twitter, puts this really well. A company’s culture and belief system are strongly modelled after their founders and their early hires belief in that mission is as important as other incentives. Therefore its tough, even though the company employs the smartest people and has billions in revenue, to think outside the early constructs of the founders. Google is no different! Disclaimer: I currently work for Facebook, so this will seem biased. FWIW, I have written this before I decided to join Facebook. Also, this is my personal opinion and doesn’t represent views of Facebook.